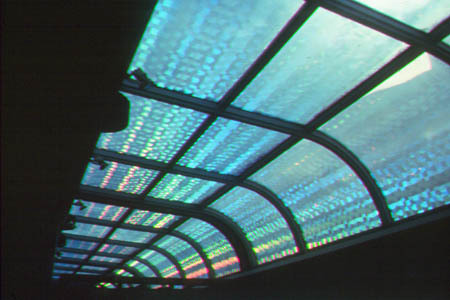 An articulated Holographic window film "Patches" covers the entire solarium type facia glazing. Alma Powell Branch Library, Kalamazoo Library System. In Daytime the sunlight activates surface diffraction pattern and casts rainbows into interior space.